Click on the logo to view some of our available products! The quantities listed below are available for immediate shipment. If you need more, order what your need, and we'll ship the rest as soon as it arrives. We are gradually adding popular items to our inventory. we have access to over 150,000 craft items and will give you an unbelieveablely low price! Why wait to craft? 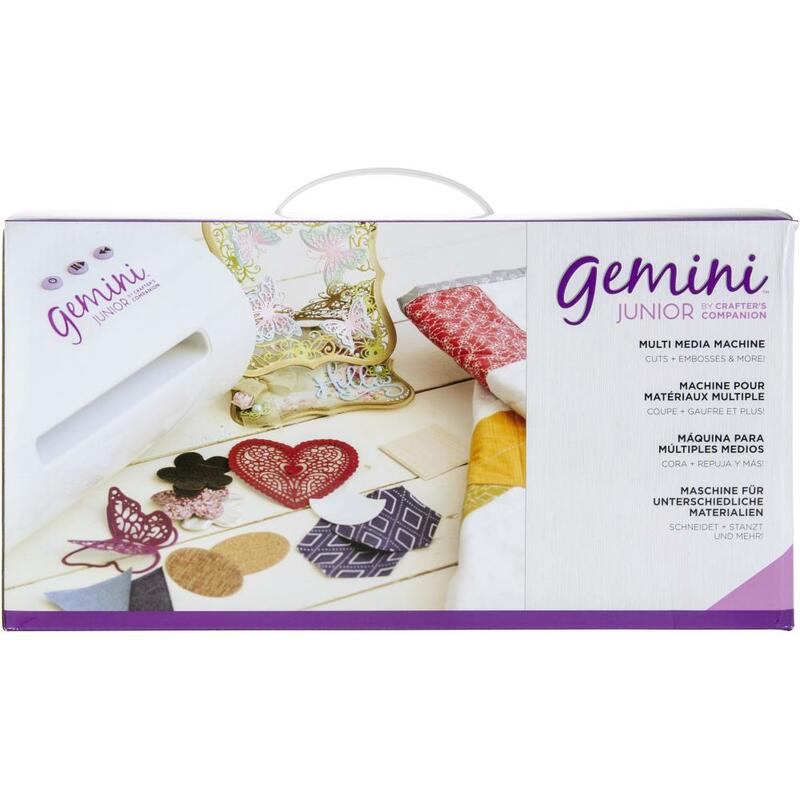 With the Gemini Jr, you can zip through cutting and embossing projects with the push of a button. This compact powerhouse uses a high-pressure system that delivers fantastic results even with intricate designs, while a pause, reverse and resume feature gives you even greater control and improved efficiency. This 14.5x7.25x9.5 inch package contains one machine, six metal cutting dies, one 3D embossing folder, two clear cutting plates, one metal cutting plate, one magnetic shim, one plastic shim, one rubber embossing mat, user guide and power cord. Copyright (c) 2009-2019 by Greene Ware, Etc.